Ovens hosts county ScÃ³r na bPaistÃ­ Finals. 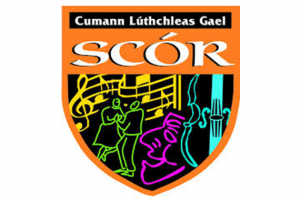 Primary School children from across the divisions compete in the Cork ScÃ³r na bPaistÃ­ Finals on this Saturday (March 21st) in the Eire Ãg Pavilion, Ovens commencing at 4pm. The showpiece features an abundance of talent from all corners of the county with national schools and juvenile GAA clubs representing their divisions. Rince Foirne: Rusheen N.S., Boherbue, Summercove Kinsale, Fr. OâNeills. Rince Aonar: Anna Collins (Illen Rovers), Marian Creedon (Kilbarry N.S. ), Aoife Barry (Valley Rovers), BelÃ©n Galligan (Aghada). AmhrÃ¡naÃ­ocht Aonar: Maggie Moynihan (Cullen), Aoife McCarthy (Ballyvongane), Erin Hickey (Bweeing), Leitica McCarthy (Kinsale). Aithriseoireacht: Shannon Buttimer (Dohenys), Cliodhna NÃ­ ThrinlÃºin (GS an Teaghlaigh Naofa Ballyphehane), Robert Dunne (Dromahane), Asling OâDonovan (Knockavilla). Ceol Uirlise: Scoil Naomh Caitriona, Ballyvongane, Aghada, Gael Scoil de h-Ide Fermoy. Ceol Aonar: Margaret Murphy (Gabriel Ladies Football), Cormac Curtin (Rockchapel), Miriam Nic Inneiri (Youghal Ladies Football), Sarah Leahy (Goggins Hill). LÃ©iriÃº: Ballinadee Courcey Rovers, Carrigtwohill Ladies Football, Boherbue, Ross Hurling. BailÃ©ad GhrÃºpa: Ballyvongane, Cullen, Aghada, Shanballymore. Molly NÃ­ Bhraoin (Naomh AbÃ¡n). Rince Seit: Newmarket, Clann na nGael, Ballygowan, Dunderrow Kinsale. TrÃ¡th na gCeist: Glantane, Belgooly, Knocknagree and Cloghroe N.S.